Why is it so hard to fairly analyse Jordan Henderson? The midfielder is robust, energetic, positionally and tactically sound; a breaker upper of play and a much better passer than he’s given credit for. We don’t think he’s world-class, but he’s a very, very good footballer who in 2018 captained Liverpool to the Champions League Final and got to the World Cup semis with his country. Yet Twitter sheep see him pass the ball backwards from the kickoff and start abusing him. It’s nonsense. It happened on Friday night, despite him playing excellently in a 5-0 England win over Czech Republic – and it’ll happen tonight v Montenegro as well. 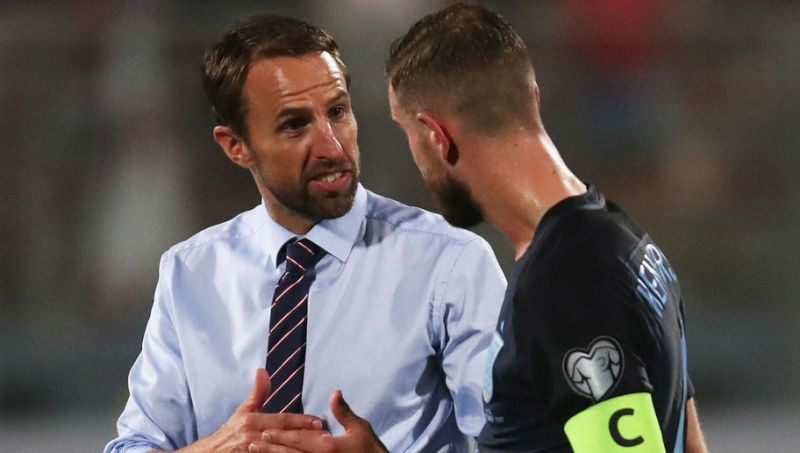 But manager Gareth Southgate has lauded Henderson, who will play for the 50th time tonight, by telling the media he is ‘such an important player for us,’ with the quotes tweeted by Times journalist Henry Winter. It’s not only England fans who lazily slate Hendo of course. Liverpool fans have been known to do the same. In our opinion, Hendo probably doesn’t get in our best team right now. But that’s because Fabinho has been sublime as the holding midfielder – not because the skipper is useless. He’ll play a huge role from now until the summer and if we win the Premier League or the Champions League, watching Hendo lift the trophy aloft will be incredible.